The New York Giants were able to finally get on track last week, as they were five points better than the Houston Texans, winning 27-22. The team showed toughness as they played well on both sides of the ball, holding down young sensational quarterback DeShaun Watson and the Texans offense. 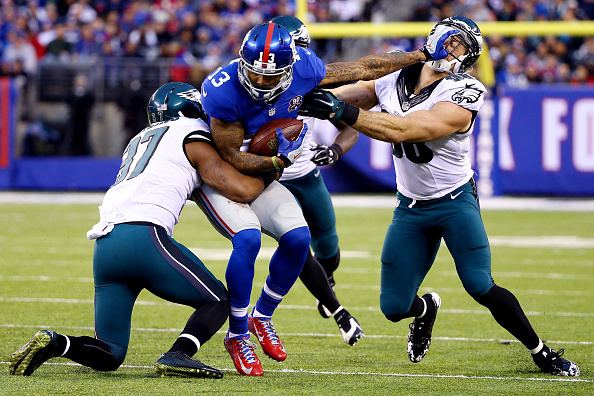 The game could be a turning point for the Giants as they move forward, as they look to compete in the always tough NFC East with the likes of the Super Bowl Champion Eagles, the Redskins and the Cowboys. When you look at American Football Betting this week, many experts think that the Giants will be back on the losing side, as they get set to take on the high-powered New Orleans Saints and quarterback Drew Brees, a future Hall of Fame quarterback. Most betting lines have the Saints as a 3.5 point favorite to win on the road at MetLife Stadium in a late afternoon game Sunday afternoon. If the Giants can get past the Saints, their next couple games all include big NFC foes, inside and out of the NFC East, a division that is only going to get tougher as the season goes on. Week five will highlight the Giants on the road October 7th, as they will travel to take on Cam Newton and the Carolina Panthers. The Giants and Panthers always have entertaining games, and this should be another solid battle. 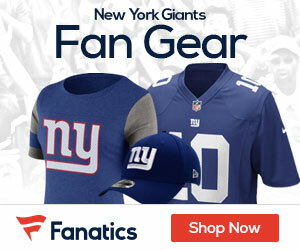 The next week the Giants will only have four days to get ready for what many think will be their defining game of the season, as they will play host to the Super Bowl champion Eagles on Thursday night football. The Thursday night games are always tricky from the standpoint as it is already a short week, and then to have to play host to the champs who come in with Carson Wentz finally healthy is no small task. The G-Men have two more games before they finally reach their bye in week nine, and both games will be again tough games against foes in the NFC, as the first will be against Matt Ryan and the NFC South’s Atlanta Falcons, a team that also has a high powered offense and can score big points. The game against the Falcons will be 11 days after the matchup with the Eagles, as it will be on Monday night football, yet another big prime time game for Eli Manning and company. Finally the club will have a big NFC East game before the bye week, as they will be at home six days after their game with the Falcons on Sunday, October 28th at home against the Redskins. Washington has a new look to their offense with Alex Smith, but so far at 2-1 they are playing good football. It’s going to be an interesting road for the Giants, as they look not only to get better, but to make bigger and better strides in the NFC.